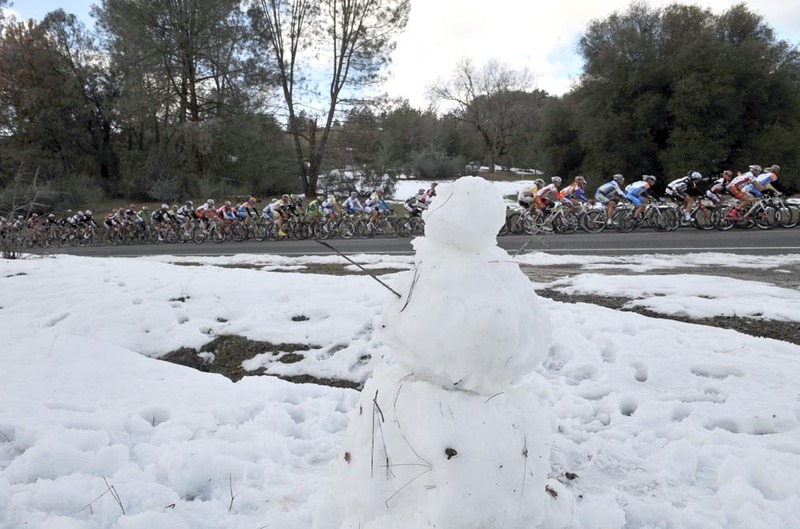 Friday’s key time trial stage of the 2015 Amgen Tour of California has been relocated from Big Bear Lake to Santa Clarita after increasing concerns over adverse weather. Snow and low temperatures have been forecast for Big Bear Lake on Friday, so the race organiser has taken the precautionary step of relocating the stage in the interests of rider, staff and spectator safety. The women’s invitational time trial, which takes place before the men’s event, will also be relocated. “While we are very disappointed to have to relocate the individual time trials from Big Bear Lake, the safety of all of those affected has always been our primary concern,” said Kristin Klein, Tour of California executive director. Further details of the new course, including its distance, will be announced later on Thursday. The final two stages of the race on Saturday and Sunday will remain as scheduled. Although California is perhaps better known for its high temperatures, stages of the race at higher altitudes have previously been affected by snowfall. The opening stage of the 2011 event at Lake Tahoe was cancelled due to snow and adverse conditions. The UCI is currently trialling its Extreme Weather Protocol at the Giro d’Italia after protests from riders and teams over racing in adverse weather conditions earlier this season – notably temperatures reaching 40°C in the Tour of Oman leading to rider protests and stage five of Tirreno-Adriatico, which concluded in a blizzard. Toms Skujins (Hincapie Racing Team) is currently leading the UCI 2.HC-ranked Amgen Tour of California ahead of Wednesday’s stage winner Peter Sagan (Tinkoff-Saxo). British sprint star Mark Cavendish (Etixx-QuickStep) won the opening two stages and currently tops the points classification.